Pets World strives to make the life of your precious pet more comfortable and enjoyable. Hence, we make sure that you pick the right food with the right nutritional content for your dog. 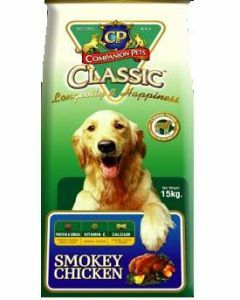 For this, we provide on our store known brands that are reputed to sell the best quality dog food. One such brand is CP Classic. 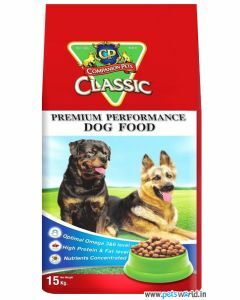 The food products from this brand offer you with a nutritional composition which is perfect for your dog’s health. They contain crude protein, crude fat, moisture in the right amount, crude fiber, phosphorous, calcium, Vitamin C, antioxidants, chicken fat, chicken digest and other essentials vitamins and minerals. It also contains C-Immune Protection which helps in strengthening the natural immunity of your pet and increases the antioxidants in his blood. 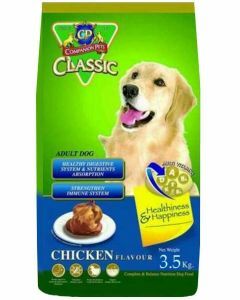 At Pets world we understand your need to provide a wholesome and balanced meal to your canine friend. 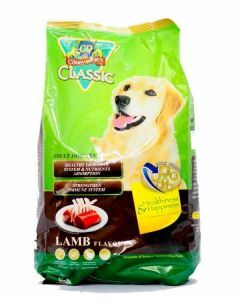 These food products will act as a full meal and keep your dog happy and satisfied. The food comes for dogs of all sizes, ages, and breeds, and acts as a healthy meal to all of them. It also has various flavors available like chicken, milk, lamb, etc. They also come in different pack sizes so you can pick the one according to your dog’s requirements. At Pets World we offer you with a selection of food items which will be best suited to your dog’s nutritional and growth requirements. So a grown-up dog will have a food product line-up that’s distinctly different from a puppy. 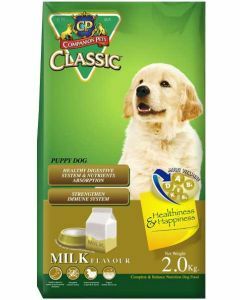 For puppies, the products like CP Classic Puppy Food Milk Flavor 2 Kg are an ideal food that cater to the developing taste buds of young puppies. Hence the flavor too matches their favorite food i.e. milk. 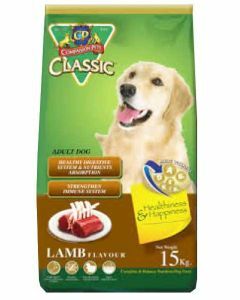 Such well-aligned food products from CP Classic promote all-round for dogs of all ages.